Finding the right location is always one of the biggest problems an entrepreneur encounters, even if you are an online entrepreneur. For most online entrepreneurs, it’s a toss up between Multiply.com, Facebook, and Twitter, with the latter usually just a mere advertising platform. To someone who knows the ropes of the online trade, it might seem easy, but for someone whose concept of online is only Facebook, it can be daunting. The trend now online are ready-to-wear outfits and accessories for women– whether a newly born baby, a toddler, a teenager, a debutante, a yuppie, or even a mother. What used to be scattered over the limitless cyberspace can now be found under one roof. Aptly called, themall.ph, it serves as the online storefront of upcoming designers and manufacturers as well as established retail brands and the ultimate shopper\\\'s guide for everything fashionable. Themall.ph will offer fashion and beauty products as well as accessories and novelty items for women and kids. There is an interactive style scrapbook feature called My Closet that enables you to mix and match clothing, putting together a unique look that you can get for yourself. The site keeps you informed down to the last detail with its comprehensive brand directory and easy shopping instructions. Some of the web site\\\'s featured sellers include: Paperbag Vintage, Nui, Sole Service, Five by Five, and Virtual Mae to name a few. Themall.ph is the newest and, by far, one of the safest online shopping destinations on this side of cyberspace. For inquiries on how to become a featured seller, email themall.ph@summitmedia.com.ph or call (02) 451.8888 loc. 1151. Themall.ph is an e-malling website that will be the online storefront of upcoming designers and manufacturers as well as established retail brands. It is the ultimate shopper\\\'s guide for everything fashionable. Themall.ph will offer fashion and beauty products as well as accessories & novelty items for women and kids. Choose from thousands of products from the site\\\'s directory, or get the hottest picks straight from the editor. An interactive style scrapbook feature called My Closet enables you to mix and match clothing, putting together a unique look that you can get for yourself. The site keeps you informed down to the last detail with its comprehensive brand directory and easy shopping instructions. 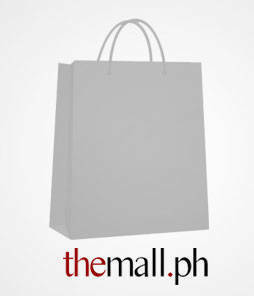 Themall.ph is a one-stop online shopper\\\'s haven for all things fashion.